Join Porter Square Books and Anita Silvey for an in-store book fair to benefit the Foundation for Children’s Books. 20% of all proceeds for purchases made between 6pm-9pm on Tuesday May 7th will be donated to the organization. The mission of the Foundation for Children’s Books is to cultivate children’s curiosity, creativity and academic achievement by igniting in them a love of good books. They do that primarily by bringing acclaimed children’s book authors and illustrators into underserved K-8 schools in Boston for visits and writing workshops. Since 2005, the FCB have brought 28 award-winning authors and illustrators to 23 different elementary schools in Boston. They also present dynamic professional development events featuring authors and illustrators, along with experts in the field of children’s books. The audience for these events includes librarians, teachers, students, parents and other children’s book lovers. Anita Silvey is the author of The Essential Guide to Children's Books and Their Creators, 100 Best Books for Children, 500 Great Works for Teens, Children’s Book-A-Day Almanac and a number of other works. She currently teaches courses in children's literature at Simmons College in Boston and St. Michael's College in Burlington, Vermont. Anita Silvey is the author of The Essential Guide to Children's Books and Their Creators, 100 Best Books for Children, 500 Great Works for Teens, and a number of other works. She currently teaches courses in children's literature at Simmons College in Boston and St. Michael's College in Burlington, Vermont. Anita Silvey discusses Everything I Need to Know I Learned From a Children's Book. Children's Book Expert Anita Silvey To Discuss New Book "Everything I Need To Know I Learned From A Children's Book"
Anita Silvey discusses The American Picture Book. Anita Silvey , I'll Pass For Your Comrade: Women Soldiers in the Civil War. 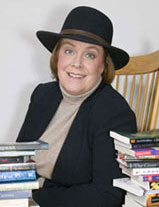 Anita Silvey is currently considered a "single author." If one or more works are by a distinct, homonymous authors, go ahead and split the author. Anita Silvey is composed of 2 names. You can examine and separate out names.